Stay dry and train hard in the England VapoShield Full Zip Jacket, with VapoShield water repellent technology to keep you dry. The mesh lined 3-panel hood shaping ensures a secure fit, while the added peak gives further protection in wet weather. The hood is easily adjusted as the weather changes, with an added cord lock feature to eliminate distracting free hanging cords and toggles. Also features zipped pockets for security, and a protected vent at the back to avoid heat build up while retaining water repellency. 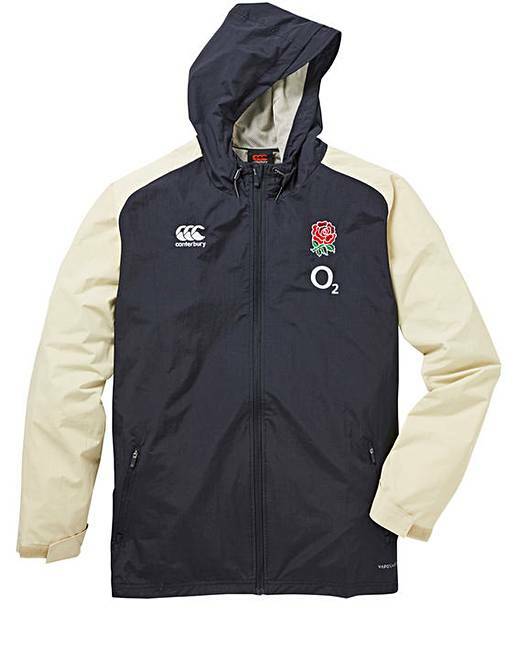 Ideal for training and travelling in wet weather.